Scott Blacklin is Founder and Principal of Blacklin Associates, LLC, a consulting firm specializing in trade, investment and development activities between the U.S., emerging economies, and Eastern Europe, Russia and Eurasia, with a special emphasis on technology. Mr. Blacklin is JWI’s expert on furthering business, financial, ICT market entry and public-sector project interests involving Central Asia and Eastern Europe. Mr. Blacklin previously served as Cisco Systems’ Vice President of Public Sector – Emerging Markets. While based in Moscow, he was Motorola’s Director of Operations for its International Cellular Infrastructure Group – Russia and Central Asia, Westinghouse Electric’s Vice President of CIS Operations, and president of the American Chamber of Commerce in Russia. Fluent in Russian, Mr. Blacklin began his career with the U.S. Department of Energy, leading its efforts on USSR, Eastern Europe and PRC energy technology issues. Cliff Karchmer is a nationally acclaimed law enforcement researcher, policy analyst and expert consultant. As a member of the Advisory Panel, Mr. Karchmer leads JWI’s Special Research sector, in particular managing research projects that involve law enforcement, security and intelligence issues. For nearly two decades, Mr. Karchmer was Director of Program Development for the Police Executive Research Forum (PERF) where he managed over 30 initiatives ranging from homeland security and intelligence reform innovations to model homicide investigation and narcotics enforcement strategies. Other activities include his selection by the President’s Commission on Organized Crime as its expert witness on money laundering. He is a nationally recognized scholar on public safety collaborations and law enforcement reform, and an expert in formulating, validating and assisting in the implementation of operational doctrine. Ambassador Jackson McDonald (Ret.) is the former U.S. Ambassador to both Guinea and The Gambia. Ambassador McDonald has extensive in-country career experience in West Africa, as well as the Middle East, Europe and the former Soviet Union. While U.S. Ambassador to Guinea, he successfully advocated for multi-billion dollar U.S. business ventures. While U.S. Ambassador to The Gambia, he played a key role in the lifting of U.S.-imposed sanctions and normalization of bilateral relations. Earlier in his career, Amb. McDonald served as Deputy Chief of Mission at the U.S. Embassy in Côte d’Ivoire, was the first foreign diplomat accredited to the newly independent Republic of Kazakhstan, and served as a Political Officer at U.S. embassies in Beirut, Paris and Moscow. Ambassador McDonald has received the U.S. Department of State’s Superior Honor Award seven times. He holds degrees from Georgetown University’s School of Foreign Service and the Ecole Nationale d’Administration in Paris, and speaks French and Russian. Matthew K. McLean is Founder and President of Endsight Consulting, a firm that specializes in international business development and government contracting, particularly with regards to infrastructure projects and Africa. Mr. McLean’s work with JWI focuses on securing Millennium Challenge Corporation (MCC) and other multilateral/bilateral financial support for JWI’s national government clients. Previously, Mr. McLean was Vice President and Chief of Staff for MCC itself, responsible for $7.5 billion in U.S. funding for worldwide economic development, and a Professional Staff Member of the U.S.Congress’s International Relations Committee, which oversees all U.S. foreign aid. Mr. McLean, who began his career with the U.S. Agency for International Development (USAID), went on to serve both the Clinton and Bush (George W.) Administrations as White House National Security Council (NSC) Director for major U.S. assistance programs. Brian Rafferty is the founder and CEO of Taylor Rafferty, a leading cross-border investor relations firm headquartered in New York. Taylor Rafferty’s fully-integrated spectrum of investor relations services helps clients around the globe profitably participate in their home and cross-border capital markets.  Mr. Rafferty’s work with JWI focuses on introducing JWI’s national government clients and their country’s investment, development and market opportunities to U.S. and European-based businesses and investors. Raised mostly in the Philippines, Thailand, and Washington, D.C., Mr. Rafferty has a B.A. (Philosophy/English) from Georgetown University. He served two terms on the Georgetown Board of Regents and was honored with a Regent Emeritus lifetime appointment. Mr. Rafferty also sits on the Board of HEART 9/11, the Ride for Hope Bahamas, and serves as the Chairman of Project Rebirth, which creates resilience programming for Military & Veterans, First Responders, and Educators & Community Leaders. Ambassador Robin Raphel is a leading expert in political, security and economic development issues in South Asia and the Middle East. Amb. Raphel served nearly 40 years in U.S. foreign affairs agencies, including the Department of State, DoD, USAID and CIA. She was the first Assistant Secretary of State for South Asia, U.S. Ambassador to Tunisia, Vice President of the National Defense University, and Deputy Special Inspector General for Iraq Reconstruction. She managed the sharp increase of development assistance to Pakistan under the late Ambassador Richard Holbrooke, and deployed to Iraq with the first civilian contingent after the 2003 invasion to help restore the nation’s critical food ration system. Earlier in her career, she served in Pakistan, India, South Africa and the UK, and taught history at a women’s college in Iran. Amb. Raphel is a member of the Council on Foreign Relations, a senior associate at the Center for Strategic and International Studies, and a member of the Association of Diplomatic Studies and Training. Copyright © 2019 JWI, LLC. All rights reserved.